The Saturday after my last post I bought a smoothie, some tea, a pasta salad and a flapjack. I found the beggar sitting outside my local supermarket and gave it all to him. The man wore a grey wool hat. He had a vacant expression in his brown eyes and a straggly brown beard. He wore a scuffed grey overcoat and was sitting on a sheet. I explained that I was touched after watching the programme and hoped it would help. He did not smile or show appreciation with any facial expression but thanked me as he stared vacantly at me. This was not the response I was expecting but perhaps he was just really hungry. Two men watching told me afterwards that he got picked up in a brand new Audi every day and lived on the other side of the city. Perhaps the Audi driver was his drug dealer that he owed money to, who knows. As I came out of the supermarket I saw him coming out with only the tea as he walked off. Had he just claimed a refund for the items? Or thrown them away? The next weekend I saw him sitting in his usual spot enjoying a pizza. I felt a sinking feeling that people appearing destitute might be earning some extra money on the side or for someone else. Indeed, Nottingham homelessness charity Framework warns against giving to beggars as there is no way of knowing where the money is going. 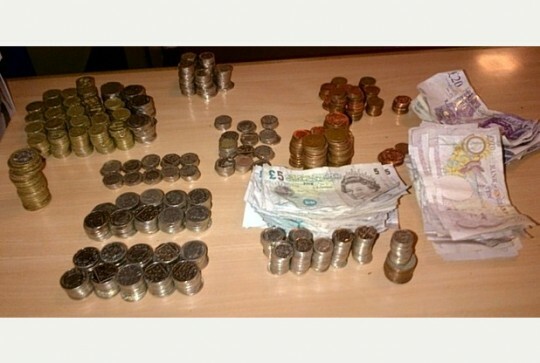 This warning came after someone who was not homeless was found with £800 of profits (pictured right). 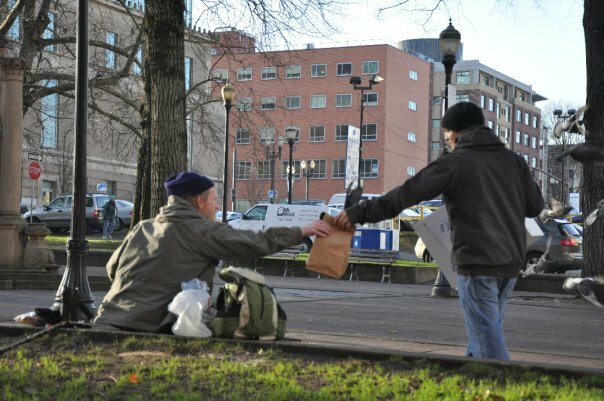 The only way to truly help a street person is to buy a Big Issue magazine or give to charity. 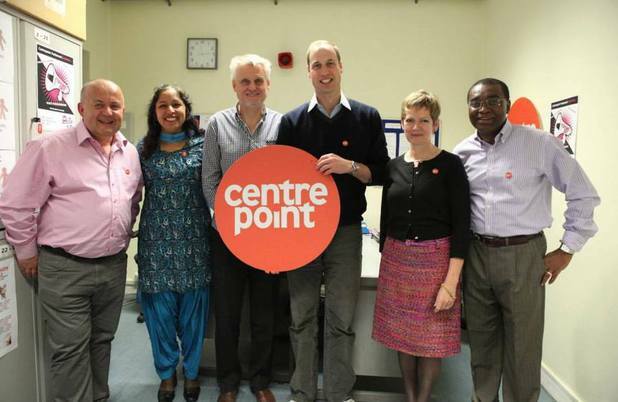 I saw a good one called CentrePoint that buys them a room, offers counselling and trains them in skills they need to get work. You get regular updates on their progress. Next time I feel guilty I will give to them. Homeless people keep half of the profit they make from selling Big Issue magazines and it was an initiative started by a man who used to live on the streets himself. I went further up the road and bought the magazine. The man was called Ronaldo and smiled broadly as he asked how I was. He told me the magazine was £3.50 and kept me talking. When I asked how he was he smiled and said, “I’m good, it’s a nice day, it isn’t raining”. I thought it was inspiring that someone with nothing could be so positive. Later I realised he’d added a pound on to the retail value of the magazine, but I didn’t mind because I knew he genuinely needed it. The magazine’s slogan was “supporting working, not begging” and the website states it is a “hand up, not a hand out”. I would rather do that. After the United Kingdom, the United States and Canada my blog is most viewed in the Philippines. I have donated to the Typhoon Haiyan fund before but recently I was able to contribute a little more. Thousands died and a staggering 11 million people were affected. The videos and photographs of the devastation were horrific. Charities have helped 1.6 million so far but there is still a long road to recovery ahead. 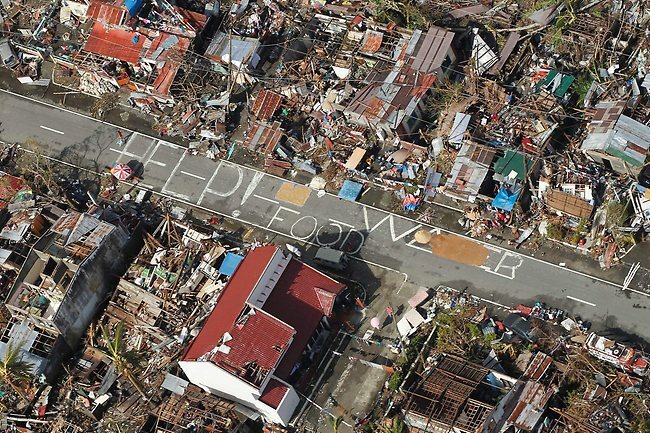 Of course the disaster also impacted on infrastructure – depriving millions of basic needs such as food and shelter. Some cities are still reliant on electricity from generators and many survivors are entirely dependent on aid. Today I finally got round to it and gave £25. After Christmas and the holiday and with only a temporary job, I couldn’t afford to donate much but something is better than nothing. Just £25 can give water purification tablets to ten families for a month. I did this through The Disasters Emergency Committee website, a hub uniting all the major charities. The country remains crippled by foreign debt, with £8.8 billion to repay in 2014. So charities have a crucial role to play in helping the country back to its feet. Just a quarter of the $791 million (over £483 million) appealed for by the Office for the Coordination of Humanitarian Affairs to cover needs over 12 months has been donated. So when you’re sitting cosily by the (fake/real) fire with your (fake/real) tree, or having that turkey curry buffet, or just enjoying the holiday, spare a thought for the millions reliant on charity to supply food, clean water and shelter. Help continues to be needed even though the bright lights of the media have since moved on.